Unlike in the past this current political season has witnessed an unprecedented surge in the number of women who are aiming for the number one citizen’s position in the country. Yearning for a change in the status quo, they tell GuardianWoman reasons for their aspiration. Enjoy. Professor Remi Sonaiya is one of the female presidential aspirants in the forthcoming 2019 elections. She is representing KOWA Party. Sonaiya’s interest in public affairs and development issues influenced her decision to retire voluntarily from her position at the Obafemi Awolowo University in 2010. The two-time presidential aspirant was a Professor of French Language and Applied Linguistics in the Department of Foreign Languages, Obafemi Awolowo University (OAU), Ile-Ife. Among Sonaiya’s academic and professional distinctions are: First Nigerian to be appointed as the Ambassador Scientist of the Alexander von Humboldt Foundation, a position she occupied from 2008 to 2014; member of the Project Drafting Committee for the Establishment of the Nigeria French Language Village, Badagry and member of the executive committees of some of her professional associations and editorial boards of several local and international journals. Through a support donor, Restart Nigeria, Sonaiya is training 10 young people in Isiala Ngwa South Local Council of Abia State. In this interview, she shares her motivation for running for the Presidency for the second time, among other issues. How involved have you been in grassroots politics? I have been working with people in Ife, where I live. I am from Oyo State but I have been living in Ife since 1972 when I became a student at the University of Ife. I have only gone for studies and back to Ife. This is one of the issues I have been concerned about because people have often asked me why I decided to start from the top. I don’t come from where I live and you know our politics is so much origin-oriented. I have lived in Ife for over four decades, so if I decide to contest as House of Representatives member or Senate, people will ask, “where is your father’s house?” Hence I chose the Presidency that does not have a particular constituency. If I go back to Oyo State where I have not lived, I will have to go through a godfather to convince people to vote for me. Have you had any political tutelage? I jumped into politics from academics because I was not happy with the quality of governance, which is extremely poor. We cannot leave our affairs in the hands of incompetent people, who are looking for their own benefits. I told my husband the reason I would like to go into politics. So, I joined a party. In terms of political tutelage, I don’t know what that means. What I see in Nigeria is that people are after their pockets, fixing people in positions and so they follow them around. If that is what tutelage means, then it is wrong. During the time of Obafemi Awolowo, people who worked with him were tutored and they talked about it. They spoke about his character and his disposition to policies. That, for me, was tutelage. However, in KOWA Party, we meet every Friday in Lagos to discuss what governance should be in various sectors of the economy. For me, that is my tutelage. How ready are you for late night political meetings? If I want to be a typical Nigerian politician, I wouldn’t join KOWA Party but go with mainstream parties. It is because I do not agree with them. I query the motives behind these late night meetings. It’s not as if I don’t work at night as an academic, but that should not define politics. I am not in politics to be made by anybody, but I want to contribute to the development of my country and I believe that it is the people, who determine who to govern them. Whether they do good or evil, it is our choice. There is an assumption that everyone is desperate to attain positions, so I query the motives behind such things. People have told me that if I really want to climb the political ladder, I should join known parties. I am not going to dine with the devil because I want what the devil eats. We are not all motivated by the same desires. The values of truth, justice, and fairness to everybody are more important for me. I am not doing this so that at the end, someone will say “give her a ministerial position as compensation’. Even in academics, you have to work hard. I went through what was required as an academic and I take politics as a profession also. 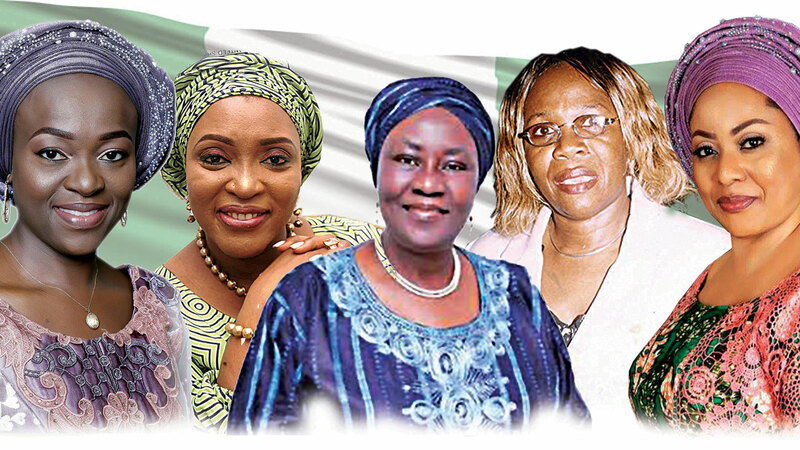 How will you assess the impact of women in Nigerian politics? If there are not enough women in politics, how then can we make impact in a democratic system that are dominated by men? That is why the Gender Equality Bill has not been passed. The issue is: we are not there and getting more women there should be our concern. And I am beginning to think we should legislate the 35 per cent affirmative action, because people are getting more desperate. We used to have more women in government but it is going down. The men are there and taking all the spots. We cannot afford to keep the women out of the decision-making processes. We are denying our nation of those peculiar skills that women possess. I didn’t go into politics because I am a woman but purely as a concerned citizen. How do you finance your political journey? With whatever I get, I write to people and make appeals. Like the last time, the funds I had were support and you could see my billboards all over the country. We all know that the monies other politicians used came from the coffers of our nation. It is sad that people, who should be aware of this, still accuse you of being in a smaller party. Campaigning is good and I know it costs money. But I don’t want what happened in Ekiti. I want money to get my voice out and connect with people not to bribe them. I want money to help me fund a decent campaign. I hope people will soon realise that elections should be funded by individuals, not from the coffers of the government. I am looking forward to seeing a time when elections will be conducted in a decent manner. 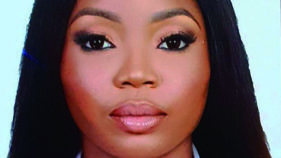 Eunice Atuejide has declared her interest to run for president under the party she founded, National Interest Party (NIP), vowing to unseat the incumbent in the 2019 elections. The legal practitioner and polyglot is widely traveled and heads several businesses in Nigeria and the U.K, a feat which she says has prepared her adequately to lead the nation. In this interview, she speaks of her readiness to lead, 35 percent derivative action, feminism, the fate of Nigerian female politicians amongst other issues. What makes you think you are ready and capable to be president of Nigeria? I am ready because I have prepared all my life for this, got the necessary education and exposure, leading my own companies, working with other companies. I have had to take high-level decisions and make very important decisions to help businesses and save them money in terms of agreement they enter so they don’t make mistakes or end up in court. It has been years of developing myself in terms of picking up the necessary skills, forming the necessary relationships to help me be in a place where I can handle responsibility on the level that I am seeking to do as president of this country. I am ready. These are small companies and none has a thousand employees, talk less of 200 million people? It’s not about the number of people involved; it is about the impact of the decision I am going to be making. One person heads the presidency but the work is done by hundreds of thousands of people. I’m not seeking to do everyone’s job, but I will make sure that everyone that is supposed to help the presidency are picking the right options at every point. I am not seeking to be an expert in every field; my job is to ensure that the decisions we’re making favours the majority of the country. I don’t need to have led a 200 million people company before I can balance interests. Even in my home, with five completely independent children, I’m able to balance their interests with that of their dad. If you compare me with the governance we have had so far in Nigeria, I am way above the people that have led us so far. You described your party, NIP, as slightly centred-left and slightly centred-right but technology driven. What does this mean? This means we’re neither socialists nor capitalists, we’re just in the middle. Government will have some power, private sector would also have the freedom to do what they need to do to move the country forward. A lot of people would talk about ideologies but they don’t know what it means. Ideology is asking yourself, are you going to be government focused or capital focused? We want a balance where both sides are thriving and working together to move the country forward. How involved are you in grassroots politics? Politics start from the grassroots for those who do APC and PDP style of politics; if you do NIP style of politics, you don’t have to; you just focus on where you are strongest and build capacity based on your own personal abilities. NIP wouldn’t tell you to physically go back to your ward and start befriending people. Everybody in your ward is supposed to be with you online. We have NIP members in the 8, 817 wards in the 774 local government areas in the 36 states of this country and this is so because our members join online and they are able to participate in all the discussions, negotiations we do. All our elections, ward congresses and so on are done online. Everyone simply goes online and vote for whom they want, we don’t need to have physical structures on ground before you feel our presence. When we have the money, we would do that but we already have the structures in place on the Internet. What is the level of your mobilization in these wards you say you have all over the country? At the moment, it is zero because it costs a lot of money to do this. For now, we want to focus on the national, and each contestant is developing their own areas, mobilising, doing interviews and communicating with the people. These cost less than having to rent buses, going from door to door. We would go door-to-door when we have the money but for now, we’re using our Internet presence to raise awareness that we are here to stay. Many Nigerians do not have access to the Internet, how are they going to ‘feel your presence’? Those who do are working with us, those who don’t, we will reach them when we have the funding to do so. Since we don’t have the money yet, we are using what we have to get desired results. I’m not going to sit down and say because we don’t have money, we won’t do anything. Many people like my father and people in my village are connecting to the Internet now because they can see something unusual is happening and they want to be part of it. We would reach those in the remotest areas through you and I that have access to the Internet. When you go your villages, tell people about me that I am running for president. When I have the money, I am ready to go to every village in this country. I can’t reach everyone yet, so I am building an army of followers that would take my message to everyone. Would you say you have undergone any political tutelage from any politician? I have not and I deliberately avoided this because one thing they teach you to do is how to steal. They make you their puppet, control you and tell you what to say or do. I don’t want this so I stayed away and developed myself in a way I can be sincere and honest to Nigerians. I stayed away from them so they don’t convert me the way they convert those that latch onto them early on in their careers. I’m coming out as my own person, without their influence and when I’ve established my brand, they can come in to support not convert the brand. I will never dip my hands into public funds, that’s impossible. I am a satisfied person, I have tasted poverty and wealth and I am satisfied. Important political meetings happen late at night; how comfortable are you with this, considering you have a young family? I have been attending late night meetings since I was 13. I have always been a very independent, busy person and I’ve been working since I was 14 years old. Late nights are nothing for me. Most people think I work 24/7 and a 16-hour day is nothing to me. I am ready for everything that comes with being a president, time, energy, thoughts, age and so on. My family understands and they are the best support system I could ask for. In Nigerian politics today, it is men that usually ‘make’ the women that venture into politics. Are you ready to go down this path? I have protection under the Coalition of United Political Parties (CUPP) and our party is a member. I would most likely emerge as the presidential aspirant under the CUPP and this means that all the other big parties would be backing and protecting me and making sure that their asset is protected. My job now is to emerge as candidate under my party then the CUPP and I’m doing my best to make sure this happens. Many people want to know you and why you are aspiring to lead a nation as big as Nigeria? I am Elishama Ideh. A lot of people call me Dr. Elishama Ideh. The doctor premise is an honorary degree by the reason of the works that I have been doing, impacting lives in the community for two decades. The doctorate degree was conferred on me in 2005. I am a wife and mother of three grown-up children. I am a clergywoman and a nation builder. I am someone that has interest of my nation at heart. I am also advocating passionately for a change.I was born into a family of five and only girl and raised in Lagos State to a police officer father and a businesswoman mother- both of them are natives of Ewohimi (Ishanland) in Edo State, South-South Nigeria. I grew up in a police barrack and will be 54 years in September , was born in 1964. As the only girl in the family, I was the centre of attraction and affection of not only my parents, but my siblings as well. I almost grow up as a Tomboy in the midst of boys and that affected even my life, most of my best friends till date are men. I can easily relate to them by the reason of my background.I had my primary education at Mayflower Primary School Ikenne, Ogun State and secondary school education at the Federal Government Girls College (FGGC), Onitsha, before proceeding to study Mass Communication at Bowie State College, Maryland, USA. On my return from USA, I went straight into business. Buying and selling, general merchandise, oil and gas product, real estate and was doing wonderfully well. Some times in 1997, I had an encounter with God Almighty, that is how I was called into the work of ministry and this aspect of my history is very important because it is what culminated into where I am right now. Why are you aspiring for the office of the president? As a pastor working with widows, orphans, destitute, and seeing these people living at the poverty level has become a real burden to me as a human being and real concern as a citizen of a blessed nation. I have been to other nations and have seen how they care for the welfare of their people and that knowledge came to play in my thinking. My interest in the community goes beyond just being a clergywoman, my interest became a national concern. I cannot watch things going on like this. I became a voice to this voiceless people. I formed an initiative from then called Partnership for a New Nigeria. That initiative came to life in 2009. Through that platform I began to engage government and society about the issues that concern these category of people. I began to talk in radios and other media. From the interest of being concerned about the welfare of these sorts of people, it graduated to even a national orientation because I don’t think that our people even understood our identity and our love for our nation. I felt someone like me, who have seen poverty at the lowest level and knowing that Nigeria can be better than this; I need to take it to the next level. How involved have you been/are you in grassroots politics? When you talk about grassroots politics, you have to elaborate that. The grassroots politics I know is the kind of politics that takes care of human beings. If there is any other politics, I do not know if you are talking about the grassroots experience of politics, because, one of the major problems people asked me is that no, you don’t have experience. I am like, no, it is the people there that do not have experience. In Nigeria, our people, you thought they have experience in public service, they don’t have experience because how many times do they go to the people. What is public service? Public service is serving the people directly, going to their domain, finding out about their housing, finding out about their security. When you find out what is happening to them in their environment, you come back into the office, you implement solutions to their problems. Public service is about going into the domain of the people you have been called to serve . How many of our public servants do that. I have had experience for two decades. They don’t have that experience. None of them, from the lowest office to the highest office. I boldly declare here. If it is the USA or even in UK, you cannot hold a government seat if you don’t have community experience because you are coming to serve the people. Are you registered in your ward? What is the level of mobilization in your ward? Yes, I am getting it from all level from ward level to the local, state and national. You know that a lot of restructuring is going on now even in my party, Alliance for New Nigeria (ANA). I don’t know where I will eventually run. Have you passed through political tutelage from others that have been in the system for long? I have never passed through any of those tutelage because, as far as I am concerned, if we are talking about politics the way they played it in Nigeria, we are all wrong. The narrative should begin to change. People like us, the new face are coming in to change these narrative. We have accepted the wrong for too long in Nigeria. This is the time to change it. The right way to play politics is to understand that you are going there as a sacrificial leader, to serve the people so that they will have a better life. They only want just basic needs of life. Anytime, I said I am coming to change life, people will say what you have been doing is charity. I said no. Martin Luther King Jnr said: “ Overcoming poverty is not an act of charity, it is a fight , a basic fight for providing basic necessity for human needs and making every human has integrity, decent and at least comfortable in their little corner”. That is not too much to ask from a government, from a nation. How ready are you to attend late night meetings considering that major political decisions/power plays happen at night? I am used to late night meetings. Am I not a woman? When we are taking care of our children, don’t we stay wake all nights. Women are multi-taskers. Women multitask more than men. Things women do and still take care of their homes, they still go to their offices; a lot of men cannot do it. Women are used to waking up all night. If that is the case, that is no challenge. Most women in politics today were ‘made’ by men. How prepared are you to go down this path? Also, in our electoral laws, only parties not individuals are allowed to contest elections. In light of this, how grounded and prepared is the political platform you are using? You need to break it down. I have somebody, a man that is greater than mere mortal man. His Name is Almighty God. He is the one who is sponsoring me and backing me up. I believe, we are in a season in Nigeria where people like me that is coming on board, we are stirring the heart of Nigerians to change the narratives so that they will know that we are selling ourselves to them, the public so that they will be our sponsors just like an Obama came from nowhere when it was impossible for a black man to rule USA. He was able to get people that have good intentions. The public came up supporting him with their $10, $20 and $1000. I believe a lot of Nigerians will line up in that way. Thus far, even in the little way I have come, I have such people coming around. So by the time we get into the next level, Nigerians will come out. They are tired, there will be public-funding, I decree that. Nigerian women haven’t made much impact in the political space, what are you planning on doing differently? I have assurance that I will be selected from my party. I have the capacity and I am changing the narrative. I have a track record, proven with CVs because a lot of CVs are not there, people just out them up because they want to run for elections. My CV is open, let people begin to choose from far back of 20 years ago. I have the heart to take care of people. I am a good leader and I am able to tackle poverty at the lowest level. Looking at the last set of women that contested, Sarah Jubril had just 1 vote (PDP PRIMARIES, 2011) Remi Sonaiya had just 16, 000 votes nationwide, do you think women aren’t doing enough to support each other and do you think this is going to be a problem for you? I am not sure that you have been following lately the voice of Nigerian women. That narrative will not work this time around. Nigerians are so much worried with the state of decay. Everybody is experiencing now the national yearning of women hearing the cry of a child. So, I beg to disagree. Do you know this time, a national yearning has come upon women? This is the narrative I have been pushing. There is a reason why the Almighty created a man and a woman, there is a purpose nature is called a mother nature. The whole existence of mankind is held together by the presence of a woman and when you removed her from the equation, a national death in the environment will occur. Look at Rwanda, they were totally destroyed but by divine intervention they injected 68 per cent women to their government, the highest number in global statistics, immediately that nation came alive. They are doing better than Nigeria. In your opinion, should political posts be handed to women on the basis of sentiments or 35 per cent affirmative action or should they work hard for it? It is not sentiment, it is not a matter of should they not work for it? It is what they should have, so that the system can function properly. It is like saying should a woman work to be a wife. She has to be a wife. If you have to achieve certain things at home, you need a woman to do that because the eye of a woman catches things that ordinary man could not see. In Nigeria, we vote for political parties not individuals; how prepared is the NIP to emerge as the party to beat in the 2019 elections? We are already doing that by telling people that we are the clear, better alternative and even when I emerge as the consensus candidate under the CUPP, we would ensure that the NIP is on everyone’s lips before the election. Looking at the last set of women that have contested presidential elections and didn’t fare well, do you think women are not supportive enough and would this be a problem for you? I don’t think so. Women are just more critical and before a woman would give you her vote, she needs to know what you are all about and if she’s not interested, she’s not voting for you. That you’re a woman is not enough. I wouldn’t vote for another woman simply because she’s a woman. I’d listen to her policy drive, the options she is presenting, the way she is proposing to lead and if it works for me, she’ll get my vote. I don’t expect Nigerians to vote me just because I’m a woman. I want Nigerians to listen to me and what I intend to do and if they agree that it makes sense, then they should vote for me. You caught a lot of flak recently on social media for saying you are not a feminist; why so, considering that you won’t be in this position today if not for feminists that fought for you and I? That is you saying feminists fought for me to be in this position and not facts. I am definitely not a feminist and I don’t want to be in any section of society where I have to be defining or re-defining my ideas and reasons for being that. I am Eunice and I believe in equal treatment and equal opportunities for everybody. I have been beaten up by boyfriends and husbands, stopped from getting things I wanted but I fought back because I’m a human being and on equal level with these people and not because I’m a woman. I don’t play the woman card, I play the legal card and that is what gets me through. What brought about the whole conversation was that I was complaining about the new school make politicians that held a meeting without taking the women along and I challenged them on this. I don’t fight as a feminist but as a human with rights like any man. I respect all the feminist school of thoughts but I am not a feminist and would never be one. There are some insinuations that some of you are contesting knowing you cannot win but want to be ‘settled’ with appointments after the elections. Is this your end goal? I’m in this race to win, I don’t know what others are doing but I’m making all the right moves and I expect to win. I’ve been dreaming about this since I was seven years and the opportunity came because the Not Too Young To Run Bill was passed. I’m running a lot earlier than I expected, but I’m here to win. I’m not negotiating with anybody other than those I have made with the CUPP to win my race. How are you going to circumvent godfatherism in your political race? I neither have a godmother or father and I’m avoiding this till I build my brand totally. When I build my brand, then they can come to me and we’ll negotiate from my position and I will listen to their conditions of support and if it aligns with mine, I’ll work with them. Do you agree that political posts be given to women based on 35 percent derivative action? No. I believe it’s actually an insult to women, to give us percentages then cherry pick the worst of us to fill in the roles and start complaining that they’ve had bad female leaders. We should open up the field and allow the women compete on equal grounds with the men. We have amazing and powerful women that are ready to sacrifice any and everything for Nigeria but they don’t have the chance to come in and show what they’re capable of. Most times, these politicians use the 35 percent talk to bring in their girlfriends, wives and concubines and don’t allow Nigerians see the quality of our women. Open the field up and allow more women and before you know it, there would be more women in power based on talent, ability, interest and commitment and not one derivative action. 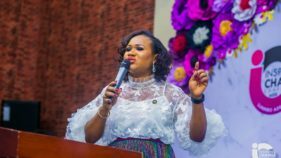 Adeline Iwuagwu-Emihe is a presidential aspirant running on the platform of the Peoples’ Democratic Party (PDP) in next year’s elections. An expert and consultant in Public Administration, Political Science, Law and Public Policy including Education, she was educated in the United States and Nigeria. A recipient of several post-graduate degrees and awards, she has served as an academician, educator and administrator amongst other capacities. An active member in leadership positions in many community and non-profit organizations in Nigeria and abroad including the United Nations, she has founded several organisations and is a renowned, published author. In this interview, Adeline, who says she is a detribalised Nigerian, speaks on her commitment to contribute her best quota in making Nigeria an enabling environment that would cater and care for every citizen. How involved have are you in grassroots politics before deciding to run for president? Grassroots mobilisation is a very important aspect of seeking political office. My team and I have been very involved in mobilisation through political stakeholders town-hall appearances and meetings. My active participation in community organising and mobilisation in town organisations associations, the wards, the local governments, zonal, state, regional, federal and other non-governmental entities is remarkable. All engaged political groups are supportive of my aspiration. Are you registered in your ward? What is the level of mobilization in your ward for you? Nigeria better. I have been with and among the plenary groups that mobilise for plenary political and organisational elections. Have you passed through political ‘apprenticeship’ from others that have been in the system before you? There is no problem with political tutelage when defined as a political learning and guiding process. I am always willing and ready to continue learning. Consequently, I am in on political tutelage and any other advisory/discursive machinery that builds knowledge in any life’s endeavor be it educational, social, technological, and so on. As an educator, a consultant and given the importance of the process of tutelage, apprenticeship, learning, as things of intrinsic value, I have immersed myself in the study of the Nigerian political process both academically, in practice, learning and understudying others before me and those in political positions and offices, who have risen to the high echelons of their successful political journeys both in Nigeria, abroad, in developing and developed countries. How ready are you to attend nocturnal meetings considering that major political decisions/power plays happen at night? Our country’s future is at stake. Equally, the life and well-being of the children, youth, men and women of Nigeria is threatened by the myriads of problem facing the country, which include terrorist attacks on individual lives, groups and tribal identities, farmlands, and other criminal actions directed towards the Nigerian people. Consequently, there is no sacrifice on my part that would be too immense for seeking to contribute to salvaging the future of our people, particularly, that of the children and youths. Based on the above premises, I would be ready to answer any important national call both physical and otherwise as requisite and necessary notwithstanding the time or period of day. However, I believe that since I cannot carry out all national and political responsibilities alone, there is need for delegation of duty. I see no wrong in doing that. Looking at the fact that Nigerian women haven’t made much impact in the political space, what are you planning on doing differently? Nigerian women can make impact in politics if they are empowered adequately, economically, politically, and in other spheres. I agree that most women are not making impact in Nigeria because the opportunities are bare and they have many items in their basket imposed on them by the African society. However, women are making great impact in many other well-structured parts of the world. The same can happen here, if I am given the opportunity as part of the team that would restructure the country and revamp its economy in 2019. I intend making impact because presently, Nigeria is at a threshold and at the tipping-off point at the edge and my team and I have the capacity and know-how to accomplish its restructuring legally, politically, diplomatically, technologically. If I can get our resources to be used for the right purposes, then I have made a huge impact. If given the opportunity, I intend to restructure the way we do things in the country. Looking at the last set of women that contested, Sarah Jubril had just one vote (PDP primaries, 2011) Remi Sonaiya had 16, 000 votes nationwide in the 2015 elections, do you think women aren’t doing enough to support each other and do you think this is going to be a problem for you? I am not those women and remember, each individual carries his or her own special God-given destiny, mantle and purpose. 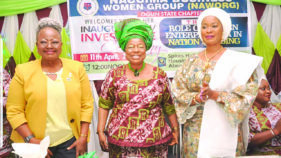 On the other hand, I know historically that there are many Nigerian women who made tremendous impact decades before now and many more presently are contributing in great portions in many other areas of the economy and polity. We must not forget them. 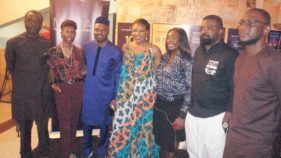 These include the Aba and Owerri of the Aba Women’s Riot or the Women’s War of 1929, Margaret Ekpo, Queen Daura, Fumilayo Ransom Kuti, Oby Ezekwesili, Dora Akunyili, Grace Alele Williams and so many others who have impacted the society. Like these women, I will make meaningful contributions to our society, but will add to what they have accomplished. Given the opportunity that I seek, the new phase that I would bring will make it possible for all pensioners both federal and state to be paid appropriately, our youth will be gainfully employed, our infrastructures will be up and running, our industries will be productive, and many more. Speaking of finances, elections in Nigeria is influenced heavily by money, how do you intend to finance this? My financial capability is personal to me, but one thing I do know is that I do not have money to share. However, I am willing and open to any voluntary resource, both financially or otherwise that would add to bringing my journey towards 2019 to a fruitful and successful completion. Nevertheless, I stand on the proposition that “Nigerian politics should not be a game of financial prowess, but that of capability and capacity to bring the expected and longed-for aspirations of the people of this country to realization.” It is unfortunate that some of our politicians spend so much money during campaigns and eventually spend their 4 to 8 years in office working hard to recoup their expenses rather than working towards improving the lot of the average Nigerian. Godfatherism plays a huge part in politics in Nigeria. How do you intend to work around this? This term seems uniquely Nigerian. However, if Godfatherism involves positive mentoring, discourse, discussions, advice and assistance from those who know better, that would benefit the Nigerian people and improve mass-mobilization of the grassroots, I am for that. Any negative associated with Godfatherism is not what I would want to associate with my personality. In your opinion, should political posts be handed to women on the basis of 35% affirmative action or should they work hard for it? Also, how prepared are you to work for this position? No. Leadership and governance are serious issues and should be considered as such. We must choose the right and capable individuals for political positions. These should include persons with adequate knowledge of the system and the necessary leadership traits that would enable them not to neglect the people in our communities, who voted them into office in the first place and would work to improve the lot of Nigerians. Nigerians need to know that it is not a matter of sentiment, but of sound judgment to elect and vote into office men and women who will use the resources of the country for the people and national growth instead of their own personal aggrandisement. However, I strongly believe that the 35 per cent derivative action should be maintained in order to give women leverage to more participation in the affairs of the nation. No female Vice-President not to talk of President since this country gained independence in a country replete with knowledgeable and capable women. 2019 is the time for change. Women demand their 35%, it is time to have a female president and/or Vice-President.. We deserve it. Princess Oyenike Roberts describes herself as an unapologetic pioneer who courageously strives to break new grounds. Born and raised in Lagos, she attended elementary and secondary schools here before traveling to the UK for further studies. Upon return, Nike worked in the hospitality industry in Nigeria before immigrating to the US where she has worked as an administrator in a utility construction company; and contracts as a social service provider to the department of family and children services. She started the first multi-cultural television station in the southeast region; and produced several original content, which showcased the experience of Africans in Diaspora. She also produced and hosted her own talk show. An advocate for education, she has degrees in Office Administration and Technology, Information Security and Technical communications. Nike has been involved in community building and has served in leadership roles in several organizations and believes strong families make strong communities which translate to responsible governance; therefore she brings passion for sustainable transformation, youth development and integration in the political sphere; a reengineering of minds to embrace diversity and above all, integrity and strength of character. Recently declaring to run for presidency under the People’s Democratic Party (PDP), she bares her mind on several political key issues. How involved have you been/are you in grassroots politics before deciding to run for president? I haven’t been involved in active politics in Nigeria, but have participated in some grassroots politics in the US. I have canvassed neighborhoods, planned and participated in political events. I’ve talked to people about the political process, engaged in phone campaigns and voter registration drives. I have also been involved with political action groups, educating people about the importance of being involved at any level so that they will be assured of representation for their issues. Yes, I’m registered in my ward; ward H in Alimosho LGA, Lagos State. All party executives and members at both ward level and LGA are very happy to be working with me both for outreach and mobilisation. I’m also a registered voter, but yet to receive my PVC. Have you passed through political “apprenticeship” from others that have been in the system before you? Politics is all about knowledge and strategies. You can gain knowledge and learn strategies in several ways, either by engaging in the political space or by being an observer. You must understand people and how to relate to them and you must know your terrain. So, to answer your question, I have not followed the track of internship, but have learned by association and observation. How ready are you to attend nocturnal meetings considering that major political decisions and power plays happen at night? I don’t believe that all political decisions or power plays happen at night. However, because of the uniquely exigent nature of politics, meetings may be scheduled at random and meetings have to be attended. I don’t know if you can use the term ‘made by men’. The political space not too long ago was dominated by men all over the world, so it was only apt that when women came on the scene, the men had no choice but to give them the chance to engage. I’m contesting on the PDP platform, I believe it’s the most organised party in Nigeria; it has the most national reach and appeal, and is relatively grounded in structure and ideology. It’s quite distressing to say that women haven’t made much of a significant impact in politics in Nigeria in spite of the length of time they’ve been organising and mobilising. I believe this is the time for women to begin to realise massive gains based on the groundwork that’s been done for decades. I have noticed that a lot more women are contesting political office in 2019 than ever before and that’s a good sign. I intend to rally women to stand for women as we’ve stood for men in the past. When we support these women with our voices and resources, we’ll put them in leadership positions where they can transform not only their communities, but also our country for good. Looking at the last set of women that contested, Sarah Jubril had just 1 vote (PDP primaries, 2011) Remi Sonaiya had just 16, 000 votes nationwide in the 2015 elections, do you think women aren’t doing enough to support each other and do you think this is going to be a problem for you? As I mentioned earlier, I intend to rally women to encourage them to support women just as we’ve supported men in the past. Women are equipped not only to nurture, but also to also organise, mobilise and lead; so for those who have the capability, we must support them. We all know elections in Nigeria is influenced heavily by money, how do you intend to finance your campaign? (Laughing) This is a one billion Naira question but as you rightly said, because of the way our political system is structured, money has been in the front and center and sadly, women don’t have access to funds as they need it. We have found ways of achieving our purpose, primarily through crowd funding and making partners in the future of our country, many Nigerians have risen to the occasion by joining forces with us to achieve this purpose. Godfatherism plays a huge part in Nigerian politics. How do you intend to work around this? I believe the question about tutelage or apprenticeship ties in to this. Your political association or alignment determines your direction and destination. I’m not aligned with any individual and so not in line of succession or selective positions. I believe in working hard for any purpose and therefore meritocracy should determine who gets to any position. In your opinion, should political posts be handed to women on basis of 35% affirmative action or should they work hard for it? Also, how prepared are you to work for this position? Nothing should be handed down to anyone by virtue of his or her gender, ethnic/tribal position, or geographical location. Again, any individual should merit the position because they are qualified and have not only the ability, but also the mental capacity and creativity to discharge their duties.